Tired of the Painstaking Manual Nip Impression Measurements? 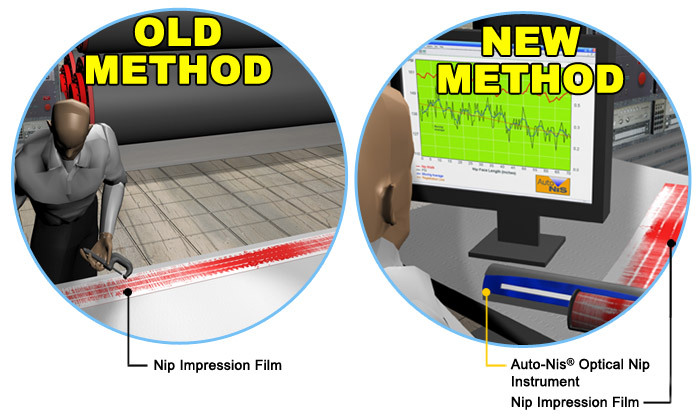 Sensor Product's Automated Nip Impression System (Auto-Nis®) brings science to the nip impression measurement process. Auto-Nis® is an optical analysis system that is used in conjunction with Fujifilm Prescale® film as well as standard carbon papers. Regular nip impressions ensure proper roller alignment and crowning, significantly reducing machine downtime and improving yield. 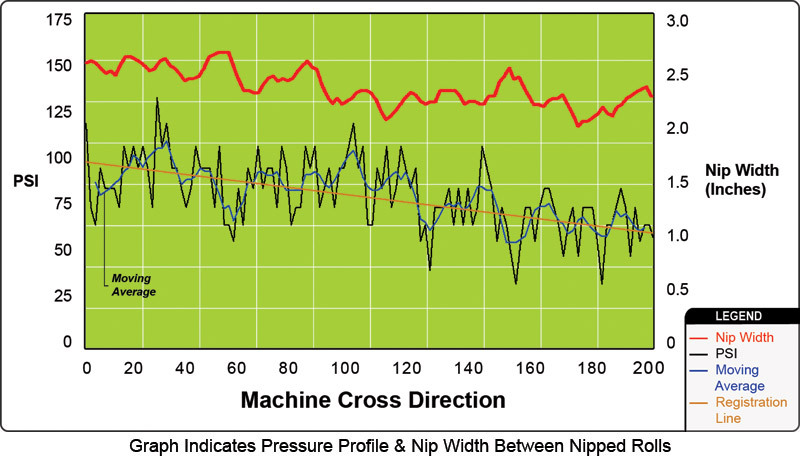 Optical analysis instrument reads and interprets nip width and nip pressure data. Data is immediately captured and assimiliated into easy to read graphs on your laptop. The scanning unit (DocketScan) connects directly into the USB port on your laptop. 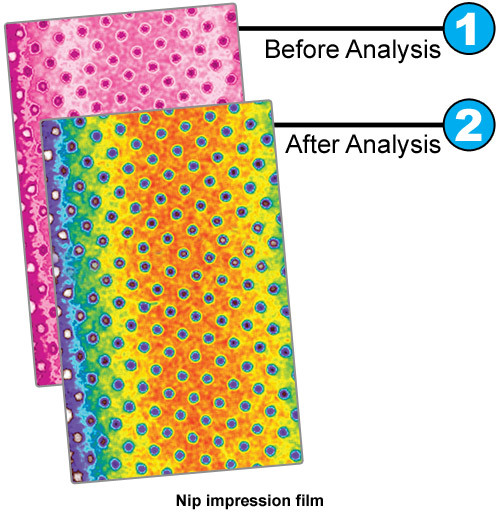 Scans and interprets BOTH Fujifilm Prescale® and conventional carbon paper. Scientific exactitude in nip measurements. Fast, efficient and accurate results. Very small and portable only 16 ounces - fits in your brief case.